Do you have photos, historical accounts or other items pertaining to the Wolf Lake area? Would you like to share this historical information with the world? LakesnWoods.com would like to publish your Wolf Lake photos (current or historical) or historical accounts on this website. Original materials can be returned and your privacy will be respected. 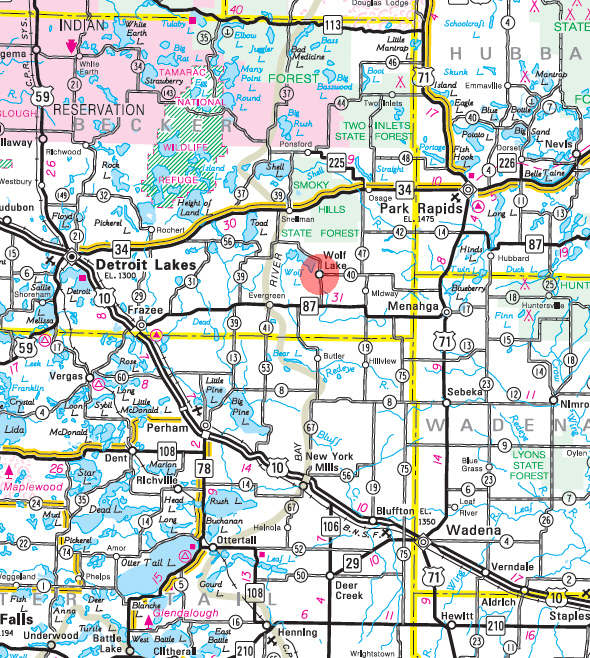 The Wolf Lake Community: The small town of Wolf Lake is located near the shores of the 1,400 acre lake it is named for. It’s believed that the lake’s original name was Gamakobimadagakwad, which is Chippewa for “Bear-Walking-on-the-Ice-Lake.” It’s also believed that the first settlers perhaps translated the Chippewa name incorrectly, calling it “Wolf Lake” instead. 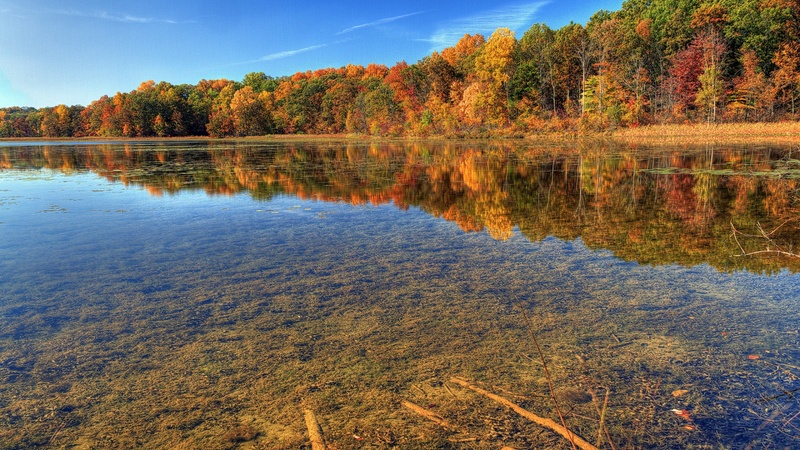 Today, Wolf Lake is considered a great place for camping, hiking, and fishing. The area around Wolf Lake is also well known for its exceptional hunting. The town has great outdoor activities for all ages. According to the United States Census Bureau, the city has a total area of 0.30 square miles (0.78 km²), all land. The elevation is 1,575 feet (480 m). As of the census of 2010, there were 57 people, 22 households, and 13 families residing in the city. The population density was 190.0 inhabitants per square mile (73.4/km2). There were 35 housing units at an average density of 116.7 per square mile (45.1/km2). The racial makeup of the city was 96.5% White and 3.5% from two or more races. There were 22 households of which 31.8% had children under the age of 18 living with them, 31.8% were married couples living together, 22.7% had a female householder with no husband present, 4.5% had a male householder with no wife present, and 40.9% were non-families. 27.3% of all households were made up of individuals and 13.6% had someone living alone who was 65 years of age or older. The average household size was 2.59 and the average family size was 3.46. The median age in the city was 25.3 years. 35.1% of residents were under the age of 18; 14% were between the ages of 18 and 24; 26.3% were from 25 to 44; 15.8% were from 45 to 64; and 8.8% were 65 years of age or older. The gender makeup of the city was 47.4% male and 52.6% female. As of the census of 2000, there were 31 people, 17 households, and 7 families residing in the city. The population density was 85.5/km² (218.9/mi²). There were 22 housing units at an average density of 60.7/km² (155.4/mi²). The racial makeup of the city was 93.55% White, 3.23% Native American, and 3.23% from two or more races. There were 17 households out of which 23.5% had children under the age of 18 living with them, 35.3% were married couples living together, and 58.8% were non-families. 52.9% of all households were made up of individuals and 17.6% had someone living alone who was 65 years of age or older. The average household size was 1.82 and the average family size was 2.71. In the city the population was spread out with 16.1% under the age of 18, 29.0% from 18 to 24, 25.8% from 25 to 44, 16.1% from 45 to 64, and 12.9% who were 65 years of age or older. The median age was 28 years. For every 100 females there were 106.7 males. For every 100 females age 18 and over, there were 116.7 males. The median income for a household in the city was $22,083, and the median income for a family was $40,500. Males had a median income of $19,375 versus $21,250 for females. The per capita income for the city was $13,569. There were no families and 7.7% of the population living below the poverty line, including no under eighteens and 33.3% of those over 64. WOLF LAKE Township, first settled in 1888 by immigrants from Finland, was organized April 4, 1896, receiving this name from its large lake, which was so named by the settlers on account of its form. Many wolves, bears, and deer were killed here during the first years of settlement. The city of Wolf Lake, in section 33, was incorporated as a village on May 12, 1949; had a country post office, 1909-11, under the name Wolf, and was reestablished as Wolf Lake in 1947. The Wolf Lake Harvest Fest is a great town celebration that occurs each year in August. The festival has traditional events, along with some new events each year. Some highlights of the celebration include a Miss, Junior Miss, and Little Miss Wolf Lake Pageant, 2 street dances, a flea market, an antique tractor show, a blood drive, a parade, a 5K walk/run, kid’s games, a mud run, a horseshoe tournament, and many more activities! The Waterfront Park and Campground is located on beautiful Wolf Lake. The park is home to the Wolf Lake Wolf Pack amateur baseball team, and the campground allows great lakeside camping. Features of the site include a beach, fishing pier, picnic area, sand volleyball court, playground, showers, restrooms, electric hookups, and much more. 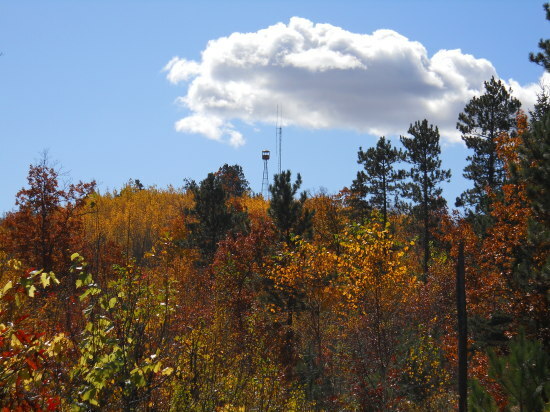 Smoky Hills State Forest is a 24,000 acre state-owned forest just north of Wolf Lake. Filled with small and shallow lakes and sprawling slopes, this forest is filled with natural beauty. This forest is also known for great hunting and its extensive hiking trails. The Shell River and numerous small shallow lakes dot the area, providing shorebird viewing. A mix of hardwoods and jack pines makes up the forest. The southern half of the forest is good for fall foliage viewing. Pick fruit and mushrooms. 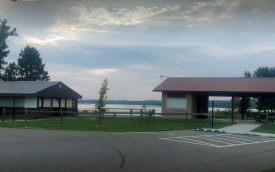 The City of Wolf Lake Campground is located at Waterfront Park on beautiful Wolf Lake, which is 1/2 mile west of the City of Wolf Lake on Hwy 36. The park features a beach, fishing pier, picnic area with shelter, playground, showers and restroom facilities. There are eight sites with electric hookups and grills, as well as seven tenting sites.